When the Civil War broke out in 1861, hundreds of thousands of men, as well as a number of women and children, put their lives on hold and signed up to serve as soldiers. How Many Soldiers Fought in the Civil War? Roughly 2.75 million soldiers fought during the Civil War. About 2 million of these soldiers fought for the Union and 750,000 fought for the Confederates. According to the Civil War Trust, between 620,000 – 850,000 soldiers died from combat, disease and starvation during the Civil War. Although the exact number is unknown, it is estimated that as many as 674,000 people were held as prisoners of war in about 150 Civil War prison camps. It is estimated that around 200,000 Union soldiers and over 100,000 Confederate soldiers deserted during the war. Around 35,000 soldiers who survived the war were left disabled and over 100,000 of them developed Post Traumatic Stress Disorder. Who Fought as Soldiers in the Civil War? 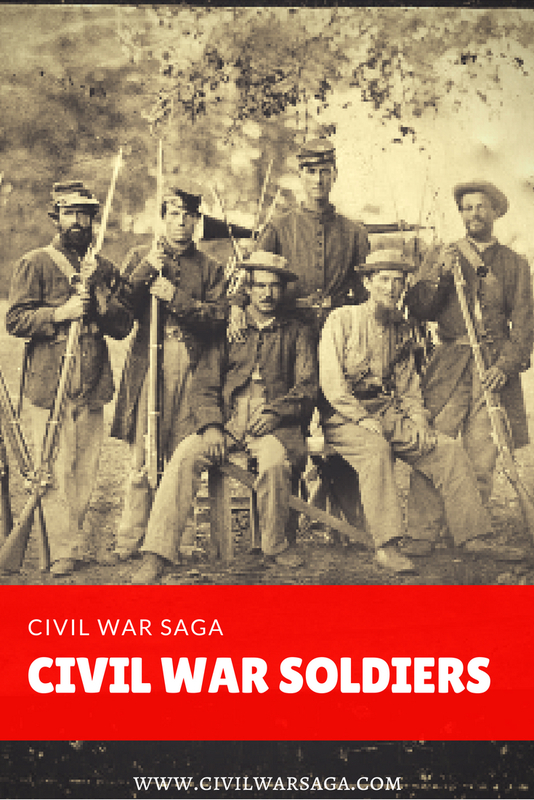 Civil War soldiers where mostly young white men but a surprising number of them were also women, children, African-Americans, Jewish people and Native-Americans. According to the National Park Service, about 2,489,836 Civil War soldiers were white, about 178,975 soldiers were African-American, 2,530 were Native-American and approximately 400 soldiers were women in disguise. A large number of children served in the war, mostly in supporting roles like drummer boys but some of them also fought as soldiers. About 48% of Union soldiers and 69% of Confederate soldiers worked as farmers before the war, while 24% of Union soldiers and 5% of Confederate soldiers worked as mechanics and around 16% of Union soldiers and 9% of Confederate soldiers worked as laborers. Fewer than 3% of soldiers on both sides worked as business professionals before the Civil War. This indicates that the majority of the soldiers were lower to middle class blue-collar workers. Why Did Soldiers Fight in the Civil War? The majority of soldiers who fought in the war were not professional soldiers or draftees and were instead volunteers. Therefore, their personal motivations for fighting in the war had to be strong enough to compel them to risk their lives. What Was Life Like for Soldiers in the Civil War? Daily life for a Civil War soldier was grueling. The pay was poor, the food was meager and unappetizing, the soldier’s uniforms were hot and uncomfortable and living conditions were unsanitary and rife with disease. Soldiers also had to cope with long stretches of boredom in camp as well as moments of sheer terror and horror on the battlefield. In addition, they also had to learn how to deal with harsh weather, injuries, homesickness and the rigors of military life. Many young children served as soldiers, musicians, messengers, nurses and scouts in the Civil War. 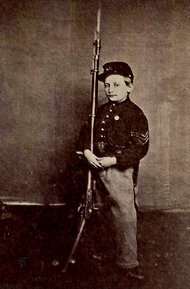 It is estimated that at least 20 percent of all Civil War soldiers were under 18 years of age. Although it technically wasn’t legal for children and young teens to serve as soldiers in the army, many of these minors lied about their age in order to serve their country and earn money. Others signed up for supporting roles, such as drummer boys and messengers, but often joined the troops in combat in the heat of battle. About 48 boys won a Medal of Honor for their bravery during battle. Approximately 400 women disguised themselves as men and joined the army to serve as soldiers for both the Confederate and Union army. The reason these women were able to disguise themselves so easily is because of the large number of young boys and men in the army at the time, who were often small, boyish-looking, hairless males who lacked deep voices and strong builds. Many of these women were single, poor and deeply passionate about the war and joined in order to earn money for their families or fight for their side. 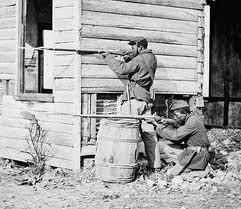 African-Americans weren’t allowed to join the Union army until 1863. When they were finally allowed to join, it is estimated that about 10 percent of all Civil War soldiers were African-American. Approximately 179,000 African-American men served in the army and 19,000 served in the navy during the Civil War. About 40,000 African-American soldiers died in the war, mostly from disease or infection. It is estimated that between 8,000 to 10,000 Jewish soldiers fought in the Civil War. The majority of Jewish soldiers fought for the Union army. About 20 Jewish soldiers won a Medal of Honor during the Civil War. The exact number of Native-Americans who fought in the Civil War is unknown but is estimated to be as high as 6,000 for the Union and 12,000 for the Confederates, although the National Park Service estimates the number is closer to 2,500 soldiers overall. A few of the tribes who fought in the war include the Cherokee and the Seneca tribe. Not everyone who fought in the Civil War was a soldier. When the Union army began to invade the south, it sparked a guerrilla war that consisted of ambushes, skirmishes and raids by Confederate guerrillas. These guerrillas were secessionist civilians who wanted to defend the south but didn’t want to join the army so they organized themselves into guerrillas bands to fight Union occupation. Some famous Civil War guerrillas include Jesse James and William Quantrill. Some of these soldiers later went on to become famous writers, performers or even criminals, in some cases. Others later became living icons after they lived well into the 20th century.